My name is Kathey Raskin, and I’d like to welcome you into my Las Vegas kitchen! 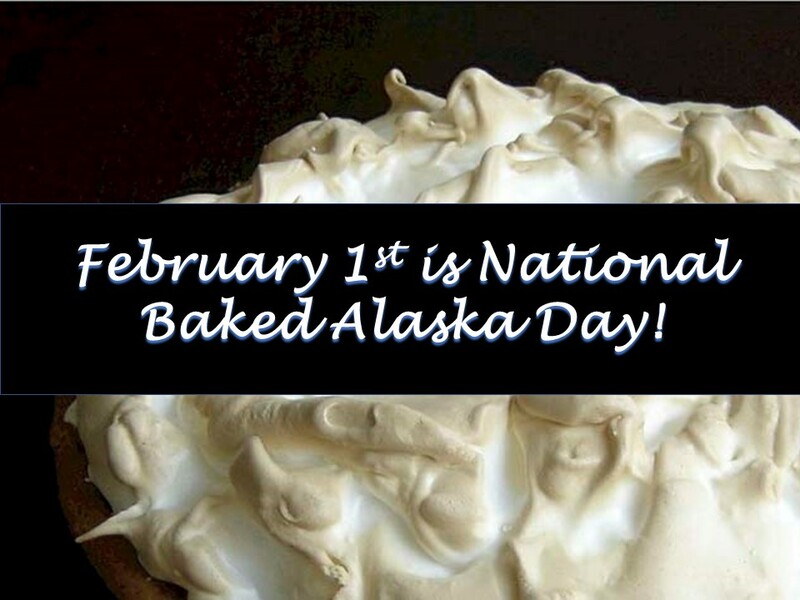 February 1st is National Baked Alaska Day. You may think this dessert is too complicated to make yourself, and I am happy to show you how simple it can be. Don’t be intimidated to try making your own Baked Alaska. It only takes five ingredients, and it’s easier than you think. This is an old favorite dessert that is long overdue for a comeback. Charles Ranhofer, the chef at New York’s famous Delmonico’s restaurant, first invented this cake in 1867 to celebrate the purchase of Alaska. Originally called Alaska-Florida Cake, the name was eventually changed to Baked Alaska. When you really want to wow your guests, this is the cake to make, because it doesn’t get much more exciting than a cake with meringue topping and an ice cream center – especially if you flambé your meringue! The secret to making the perfect Baked Alaska is knowing how to end up with golden meringue without melting the ice cream center. Serve this dessert instead of ice cream cake when you want to take a birthday celebration to the next level! Have fun getting creative when you’re choosing your ice cream and cake flavors! Take the ice cream of your choice and let it soften slightly, then press it into a lined bowl. Press a pound cake onto the top (homemade or store-bought is fine), and then put it in the freezer. Wait until frozen and then invert. Make a basic meringue recipe (see below), and then spread it so it covers the entire cake and ice cream combo. Afterward, return the dish to the freezer. After your cake, ice cream, and meringue is frozen solid, you’ll want to place it in an over that has been heated very high. Be careful to only leave it in until the meringue is golden brown and not a moment longer, or you’ll risk melting the ice cream. Cool for ten minutes and then serve. See? I told you it was easy! Start with 3 egg whites at room temperature, ¼ tsp cream of tartar, and ¼ cup of granulated sugar. Beat the egg whites with an electric mixer until they’re nice and frothy, then add the cream of tartar and beat until soft peaks form. You’ll want to gradually beat the sugar into the mixture until it’s fully dissolved. Keep mixing, and when the peaks are glossy and stuff your meringue is ready!